The Lagos State Government on Friday received seven awards from the National Hajj Commission for being the best performing state in the federation at the 2016 Hajj in Mecca. Alhaji Fuad Adeyemi, South-West Commissioner, NAHCON, presented the awards to Gov. Akinwumi Ambode at the State House in Ikeja. Adeyemi commended the state government for its support, welfare packages, accommodation, feeding, coordination, education and enlightenment programmes for its pilgrims. ”If a Christian Governor can support another religious body like this, then he must be honoured and appreciated so that he can do more. ”In 2016 when we went for Hajj in Saudi-Arabia,at Arafat, Lagos stood out in terms of their e-tracking device, coordination of pilgrims airlift, feeding, pilgrims’ education. ”Whenever any Nigerian misses his or her way , the Lagos tent was usually the first point of call to trace such person. Gov. 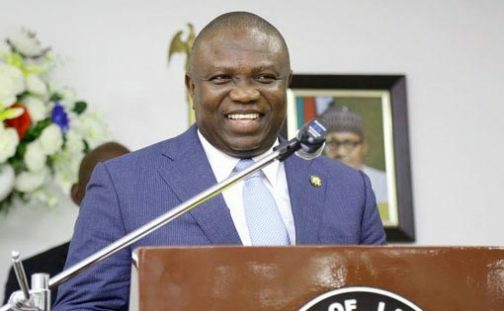 Ambode should be commended for making us proud in Saudi-Arabia, ” he said. Adeyemi urged other state governments to emulate Lagos State and improve the welfare of their pilgrims at Hajj. Receiving the awards on behalf of Ambode, the Deputy Governor, Dr Idiat Adebule, thanked the National Hajj Commission for honouring Lagos State. “For us as a government, we are committed in making life comfortable for the people of Lagos State and we will not relent in our efforts. “I am pledging that the best support will be provided to our people in the next Hajj, ” she said. In his remarks, Dr Abdul-Lateef Abdul- Hakeem, state’s Commissioner for Home Affairs also commended the Governor for making Lagos a home for all religious bodies. According to him, the inclusive government policy of Gov. Ambode contributes to the peace, tranquility and development enjoyed in the state.